Musings of a Palaeolinguist: Affordable Japan? Next year's Evolang conference (Evolang 9 http://kyoto.evolang.org/) is set to take place from 13-16 March, in Kyoto, Japan. I'm excited about this for a number of reasons, one, that I have been itching to return to Japan ever since my lone travelling experience there in 2006, and two, because I hope this will be my first Evolang conference where I will contribute with a poster or a presentation. The call for papers is already open, and abstracts are to be in by 15 August. I have been wondering lately what impact the recent earthquake and tsunami will have on the conference - I hope that it is a positive generator of tourism as I'm expecting Japan will be on the road to recovery next March and will benefit from having a few hundred evolutionary linguists bobbing around. I was already thinking the location of this conference might put some people off because of the associated cost and distance, but I hope recent events have not prevented people from wanting to experience this amazing country for themselves and having a chance to meet Japanese researchers in language evolution on their own turf. I hope to encourage people if I can by dispelling some of the ideas that Japan is a really expensive place - the ticket, for most, will be pricy - once you are in the country, things really are no more expensive (and maybe even a bit cheaper!) than parts of Europe. I'm sure North Americans and Europeans alike will be shelling out close to $800 US to get there. I have no idea what flights are like within Asia and from the Australian area. The price of the actual conference has always been a bit pricy for this poor recovering former student. I can't remember offhand what the cost was in 2010, but in 2008 it was 280 Euros for the non-student early bird fee, plus workshops and dinner. 1) Well first of course you have to get to Kyoto. If you are flying into Narita airport in Tokyo, you will need to take the train to Kyoto and that can be a bit costly. 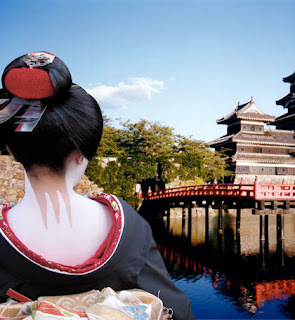 However, tourists can benefit from a Japan Rail Pass (http://www.japanrailpass.net/) that is well worth its price if you plan on doing a bit of travelling while you are in the country. A one week ticket is 28,300 yen ($335 US or £206 GBP), and it allows you to go practically anywhere in Japan except on the super fast trains - and apparently now they also allow you to go on the Tokyo's metro system as well. A trip or two back and forth to Kyoto makes it well worth the price, and there are also 2 and 3 week tickets. Anyone who lives in Britain and travels by rail wont find these prices uncomfortable! Of course you can also fly into Osaka which is much closer to Kyoto. 2) For accomodation, prices are quite reasonable. I'm speaking from the point of view of cheap hostels, of which I have stayed in 4 in Japan (plus a ryokan and a standard hotel), and found them really well run and very clean, and very affordable at between 2500-3000 yen a night (about $30 USD or £20 GBP). 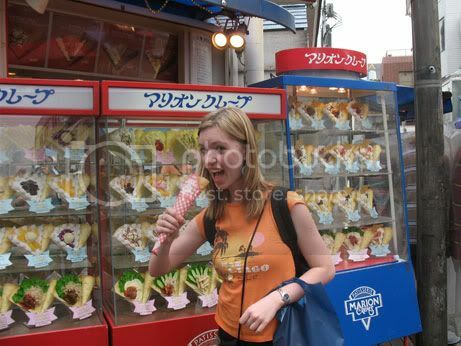 3) Food is the loveliest thing about prices in Japan to discuss, as it is delicious and can be very affordable! Restaurants can of course be very expensive, but a giant bowl of ramen will only set you back 5-700 yen and green tea is complementary. There is an udon restaurant called Hanamaru Udon that is very cheap - 100 yen for a plain bowl and then you can add extra bits like tempura. The food was definitly the highlight of my trip. Convenience stores and vending machines are everywhere so you will never go hungry or thirsty, and being in Kyoto do make sure you try a regional favourite called okonomiyaki, a type of savoury cabbage pancake with meat. I'd only budget about 1500 yen a day for eating three meals - you'll be on a budget but will still have a full belly (although if you eat more than a 120 pound girl you might disagree a little). As an aside, one of my fondest memories of Japan was waking up and going to this strange cafeteria place in Tokyo on the grounds where my hostel was, and paying 400 yen for an amazing buffet breakfast. I usually had a couple cups of coffee, orange juice, miso soup and a croissant, scrambled eggs, spaghetti and salad(omnipresent at western breakfasts??). I would sit in a large room full of people about to head off to school or the office and was a really fun way to people watch. = rougly £1000 pounds total. So not pocket change, and more expensive than The Netherlands last year for those from Europe, but doable if you start saving now!! ...I hope to see you there in March! Please comment with any helpful links or tips for saving a bit of cash in Japan. The local organizing committee is aware that the cost of coming to Japan might be quite off putting for some people (particularly students) and so we are exploring a number of options to lighten the burden. While I can't confirm details yet, I can say you are significantly over estimating the conference fee:) Also, this won't be the only thing we will be doing to make it easier for students!